Also known as the medicine plant. 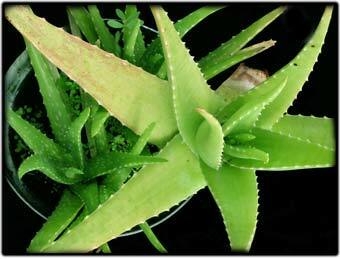 Aloe has long been used in households to relieve burns and abrasions. More recently it has been used as a drink to relieve stomach ulcers. Easy to grow if protected from extreme cold it is a handy plant to keep in the kitchen.